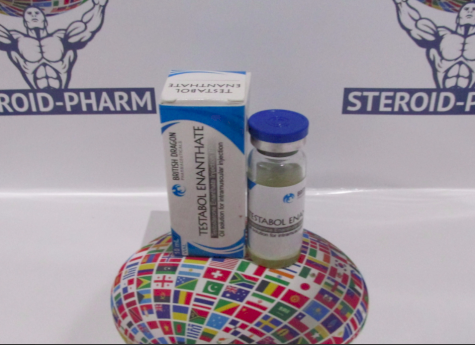 Testosterone enanthate has a high anabolic (100% of testosterone) and androgenic (100% of testosterone) activity. In addition, the conversion to estrogens is quite high, so during the use of the drug course it is necessary to use anti-estrogens. Strongly expressed depressing effect on the axis of the hypothalamus-pituitary-testicles. The positive point is that the drug is not hepatoxic. You can buy Testosterone enanthate in injection form in our store. It is worth noting that after the last use the drug can be found in blood for three months. The main difference of the drug is that testosterone enanthate contributes to the increased growth of muscles and power capabilities (precisely because of this, it is so popular among the powerlifters and weightlifters). In addition, during the use of the drug, there is a significant pumping effect. Muscle growth is directly related to water retention in the body due to the accumulation of sodium and estrogenic effects. Because of the accumulation of water in the body, after the end of the course, the recruited mass is rolled back. According to statistics, powerlifters are most likely to use the Testobol Enantat to achieve the assigned tasks. However, in this regard, the drug is safe, since a similar process Completely reversible. The drug improves the recovery processes in the body, overall well-being, adds strength for long training, increases the concentration of red blood cells in the blood, which improves the supply of oxygen to the body. 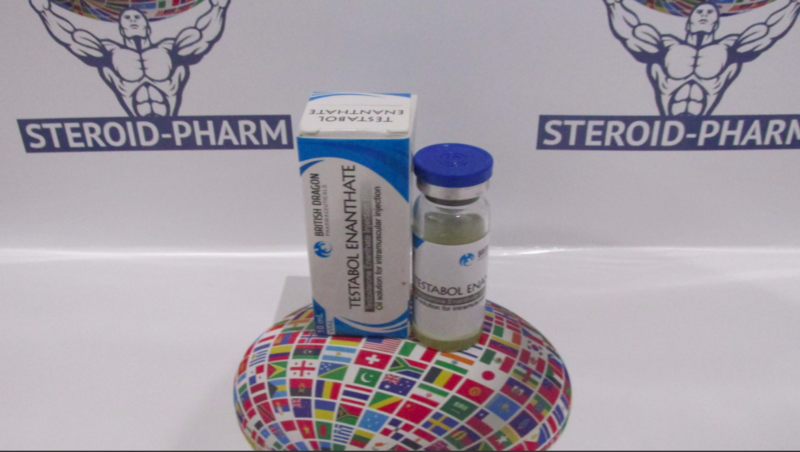 If you decide to buy Testosterone Enanthate, you should know that the anabolic effectiveness of the drug is directly related to the amount of substance ingested. The most optimal dosage is from 250 to 500 mg of the drug per week, for six to eight weeks. The injections are done once a week, most often in the gluteal region. In order to avoid the side effects associated with high androgenicity of the drug, you need to take Proviron or Tamoxifen from the second week of the course. To finish reception of these preparations is recommended in two-three weeks after the termination or ending of course Testobol Enantat. In cases where doses of the Testosterone Enanthate exceed 500 mg per week, and the duration of the course is eight weeks, gonadotropin is recommended. Also it is necessary to eat high-calorie food and sports nutrition. It should be remembered that the dosage is prescribed by a medical specialist individually for each person. In different cases, a different dose of drug is possible. Before starting the course, consult your doctor. Make sure that you are not allergic to the drug and its active ingredients. Follow the doctor's clear instructions. Avoid overdoses. In case of deterioration of health, call an ambulance. You can order Testosterone enanthate online on our website. It is not recommended to take the drug in cases if you are diabetic, have cancer, heart or kidney problems. The drug can help increase cholesterol. Children are advised to take small doses of the drug. It is forbidden to use during pregnancy. Go through a primary consultation with a medical professional to draw up clear instructions on how to use the medicine. With all precautions taken into account, the risk of side effects is reduced to zero.